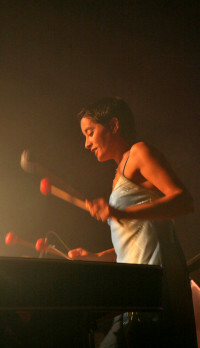 Simone presents her highly acclaimed one woman show "Everything but..." for solo percussion featuring a wide range of instruments and original music for percussion. As an optional extra this concert may be preceded by 2 workshops featuring Brazilian Samba Music and the use of 'junk percussion' and the resultant pieces from the workshops can be featured in the concert. Melrose Music Society/St. Mary's Preparatory School.